General Motors recently announced the expansion of 778,000 unit recall because of a faulty ignition switch problem. The company has not only doubled the total number of cars affected, but also plans to recall models beyond Pontiac G5 and Chevrolet Cobalt. Earlier, the company’s ignition switch recall was centered around ignition switches which could slip out of run’ position if some weight was applied to the key or when they were jostled. 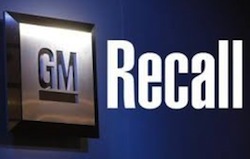 General Motors ignition switch recall has expanded to more than 1.3 million units. Moreover, it also includes vehicles manufactured between 2003-2007. Sedans and Saturn Ion Coupes built between 2003-2007, Saturn Sky Roadsters built between 2006-2007, and Chevrolet HHR Veinlets built between 2006-2007 are included in the recall. GM has finally begun the process of informing owners of affected vehicles. The company does not plan to limit its efforts to only written notifications. It will also reach out via customer care centers and social media. Owners can visit dealers for installation of new ignition switches. Finally, General Motors seems to take some blame for its lack of professionalism and oversight. It was revealed in court depositions that the company knew about this problem when the models were still new. Unfortunately, the number of accidents because of the faulty switches has also increased. More than 30 accidents and 13 fatalities have been caused by ignition switches which move out of run’ position without any warning. This prevented the airbags from properly deploying, which is a serious problem, indeed. These were your legal rights under personal injury law. However, if the driver was killed, members of the family can also file a wrongful death suit.